We’re raising children in a world of influencers and opinion-sharers. We can’t change our kids’ hearts or control what they do, but we can show them the beauty and hope of the gospel. Let’s face it—we want everything to go well so we look amazing. But this Christmas, it’s not about being the queen of our kingdom, it’s about worshipping the true King. I was making up bunk beds with the new bedding I’d agonized over for weeks. ‘Can dots be gender-neutral?’ ‘What if they’re scared of jungle animals?’ ‘Do girls like blue?’ He knew I needed to hear it. I’m a soon-to-be foster mom who’s admittedly unfit for the task. I can count the number of diaper changes I’ve completed on one hand. I’m too young to parent a teenager. I’m not good at pretending or diffusing tantrums. I know nothing about the trauma. I don’t usually say the right thing. I’m unprepared and unqualified, but the Lord called me anyway. He really was just a boy with no resume to support this appointment to prophet. He faced a nation overcome by apostasy—a calling that included great physical abuse and imprisonment. Jeremiah was a boy unprepared and unqualified for the task, but the Lord called him anyway. God promised that he would give Jeremiah the words to speak, and he would be with him as his deliverer when the nation of Israel turned against him. He was a man who spoke with the words of God. We sometimes forget we’re living every day with the power of the Holy Spirit inside of us. While the rest of the world tries to face marriage, careers, social injustice, and motherhood on their own, believers are filled with the spirit of the living God. We’re not enough, but our God is more than enough. Motherhood is a huge calling, in whatever way you face it. Whether you’re navigating the teenage years, struggling in pregnancy, filling out state-mandated paperwork, or in the weeds of waiting, the Lord goes before you to help you accomplish the tasks to which he appoints you. Even when you feel unprepared and unfit, even when you are unprepared and unfit, the Spirit of God can use you to accomplish his good plans. “My oldest daughter often declares ‘Eyes!’ to my grandsons. She wants to ensure her directions, encouragements, and proclamations are clear and heard. After all, two three-year old twins and one four-year old have multiple distractions at any given point in the day; wrestling, jumping, cars, towers, forts, tools, and you-name-it are all viable contenders for their attention. As moms—and grammies—we’re really not so different from our active preschoolers and bouncing toddlers. There are multiple noteworthy attention competitors in our lives. Piles of laundry, social media, exercise, driving our kids to and from their activities, concern over the milestones our children “must” achieve or exceed, what our friends are doing or not doing, meal planning, and the rest of our mile-long list make for impressive, excuse-worthy reasons for distracted mothering, and, worse, distracted Christ-following. 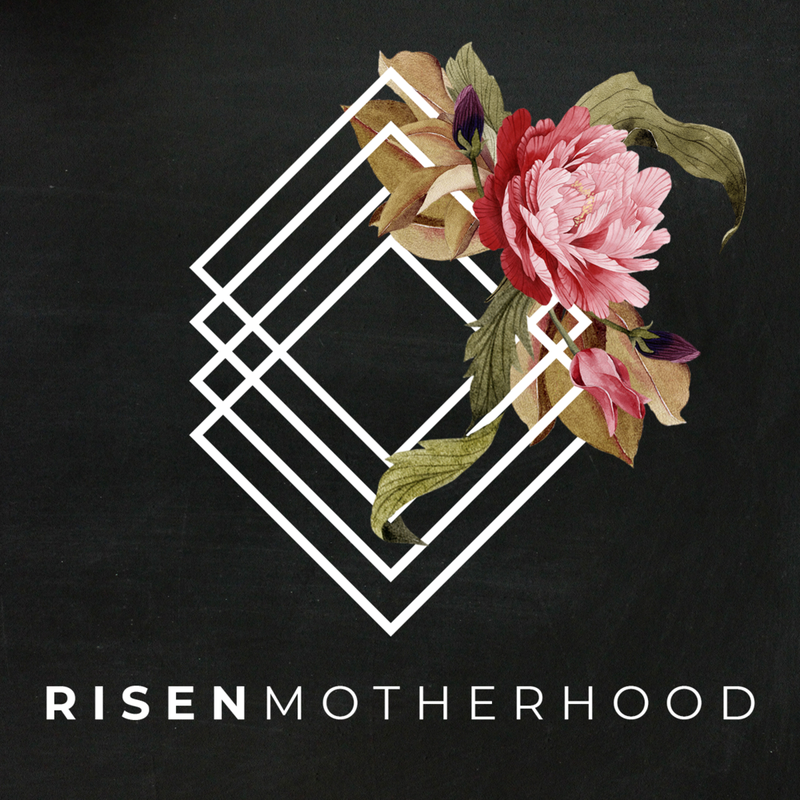 The only way to persevere on the motherhood track is to ‘fix our eyes on Jesus.’ When we veer off-course, looking away from God for our satisfaction, relief, pleasure, or sustenance, we’ll miss his message for us. When are eyes aren’t on him, the laundry pile will seem monstrous, the energy-sapping lack of sleep will feel unending and overwhelming, and the sheer strength required for parenting will seem out of reach. When our mothering and grandmothering eyes roam from earthly thing to earthly thing, we miss the joy and the eternal hope God has called us to. Eye contact with our Lord and Savior helps us rejoice in our salvation and the gift of salvation available for our children and grandchildren. Moms, grammies, we help little ones all day long and all night short. We cannot help without our Helper. One of the challenges of being a mom is that most days are spent doing things that don’t feel important. The tasks you accomplish are quickly undone—laundry, dishes, picking up toys. Whether your days are spent primarily in an office or at home (or in an office at home), every mom understands that motherhood can seem a bit like shoveling snow off your driveway during a snowstorm, and it often doesn’t feel like ministry. So what is ministry, exactly? One way to think about ministry is a person or agency through which image-bearing and disciple-making are accomplished within particular spaces. In Genesis, we read that God planted a garden called Eden, and he placed Adam in the garden to work it and keep it. Adam and Eve were not commanded to work and keep the whole world; they were to work and keep the garden in which God had placed them. So embrace the wiping. Embrace the chaos and the endless laundry. Don’t just embrace it, enjoy it. Instead of lamenting the unwanted limitations that accompany being a mom of young children, focus on the hugs and the way their eyes light up when you pick them up from school. Sing the song for them again today, and read the same book tonight. You have been given meaningful work to do. The God of creation has given you the ministry of bearing his image, making disciples, and tending your garden. “It was one of my first ventures out into society as a new mama. We were visiting the home of some new friends & he started crying a little bit. Then, it got louder & I excused myself to the other room as I attempted to quiet him. I tried bouncing him. I tried singing lullabies. I tried feeding him & changing his diaper. Still he continued to wail. All my visions of motherhood were crashing down hard as I tasted my own failure to soothe this real-life baby. That is, he is everything, everywhere, for every moment. He provides the meaning & purpose & beauty—not just for some days or some people—but for all & for everything, even this moment as I fold my laundry, even that moment when my child is crying and crying, even when I am crying myself. Jesus is the beginning, middle & end of my story & your story & everyone else’s story. We live in a world where relationships tend to be defined by divisions & distinctions. This is the reality of my heart—that I look on others & instinctively measure myself as either inadequate or superior in comparison. But there is something bigger than all our differences, bigger than all the measurements & status. Christ is bigger. He is all. When we look at ourselves & at others, we look for Christ, in & through all our differences. We are no longer worrying what others think of us or racing to prove ourselves, to peg ourselves as inferior or superior to another mama. Rather, we clothe ourselves in humility. We’re on a treasure hunt of sorts, looking for Christ, searching to delight in His glory in those around us & his grace in our own weaknesses. We’re living out this identity as a people holy & dearly loved, freed to bear with each other & forgive each other & live in peace as one body. 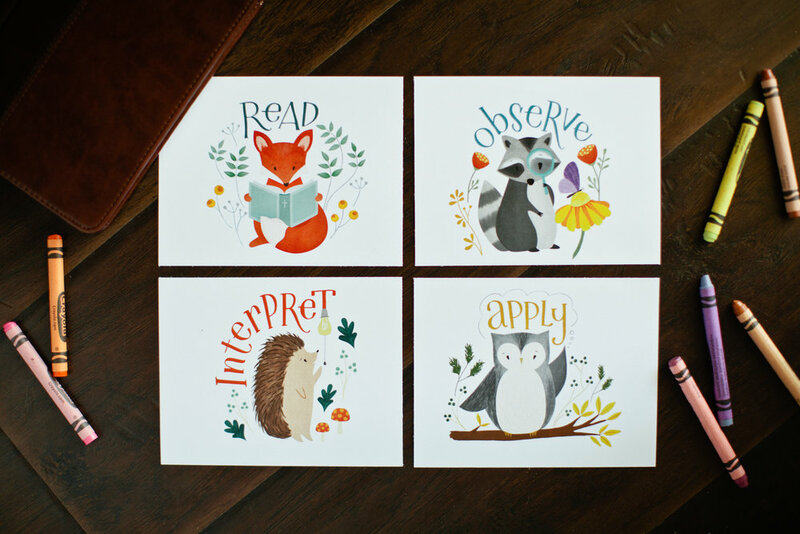 More from @jennywrenreed on the blog! Link in profile. Have you ever considered how your identity was shaped? Our identities are who we are at our core. The things that often define us can be connected to our family’s achievements, or possibly our own abilities, the things we’ve accomplished or even failed at. If you’re anything like me, you take pride in your roles. I grew up in the church as a preacher’s kid, I was a cheerleader for most of my life, a sorority girl in college, & after graduation, I soon became a wife. After marriage, we unexpectedly struggled with infertility, experienced failed adoptions, then—by the grace of God—became pregnant with twins, & I finally became a mama. Oh, the pride! Unfortunately, when my marriage shattered, so did my self-esteem. I became a single mama in 2015 & I was lost, broken, hurting & fearful of how life was going to turn out. I desperately needed the Lord & needed him to redefine who I was, my life, & mend my heart. Christ constantly challenged the root of people’s identities, but also graciously & freely gave newness to those who believed in him. These pictures of unconditional acceptance, grace, & love caused me to see myself the way he does; in spite of my circumstances or what other people may think of me. 2 Cor. 5:17 tells us, ‘If we are in Christ, we are new creatures and made new.’ Paul is talking about our identities—who we are. Those old labels & attachments rooted in anything besides the work of the Lord will pass away. As single mamas, it is easy to wear that label & deal with the empowering or negative connotations of it. Although we are doing a two person job alone most days of the week, we have to remember where our true identity lies. Raising our babies alone is what we do, it is not who we are. Christ was never concerned with job titles & status; he surrounded himself with tax collectors, the sick, prostitutes, & known sinners. He knew who they were & he used their lives for his glory. He came to have a life altering interaction with us that would change what & how we do all things forever. Out of those truths of who we are, what we do is done differently. As encouraging as this is, I can’t help but wonder what I have in common with Paul. From the Chick-fil-A drive through to daycare pickups, from dirty diapers to spilled Cheerios, from grocery store trips to dance recitals, the life of a mama with kids seems very different from his. Yet just like Paul, we have been given the same mission. Simply put, evangelism is sharing the gospel or the good news of Jesus Christ. 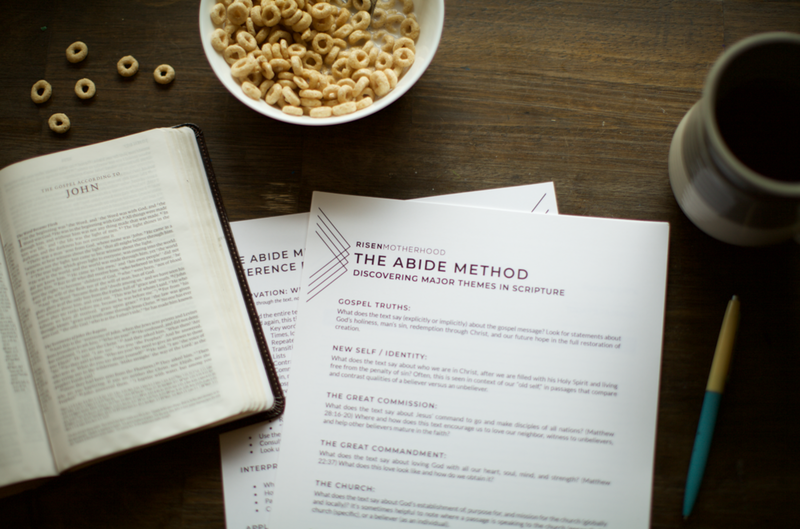 It can seem intimidating not knowing where to start or having the right words to say, but when Jesus gave us the great commission, he ended it with a powerful reminder as we seek to obey this command. He reminds us that he will be with us always. The first thing we can do is to pray that God would press onto our hearts people who he wants us to witness to. Think about those who are around you that may not know who Jesus is. Prayer shows our dependency on God to give us opportunities to share the truth about him with those people whose hearts he has already been working in. We, the messengers, just need to be ready to share. The second thing we can do is practice. We can allow an embarrassing moment to keep us from experiencing a powerful promise that follows after our obedience, or we can continue to press forward—placing one foot of faith in front of the other. I’ve noticed that even when I’m on cloud nine after a mountaintop experience—whether a conference, retreat, or vacation—all it takes is some small annoyance and a fountain of complaints begin spewing from my mouth. How quickly our fickle hearts are exposed by our words. In Exodus 16 the Israelites had just come from a mountaintop experience. After wandering in the wilderness for three days without any water, God led them to the desert resort of Elim. But just after they left Elim they entered the wilderness of Sin. Complaints poured from their mouths as their stomachs rumbled with hunger. They quickly focused their whining on the two men who were leading them, Moses and Aaron. Moses rebukes the Israelites because their complaints against him and his brother are ultimately against God. Sometimes we do the same sort of thing, don’t we? We need to remember the One who is sovereign over every interruption and unsavory circumstance in our lives. When we grumble, we’re really telling God that we know better, that our plan should win out. He is not unaware of your child’s temper tantrums or your overbearing relative or your tight budget. Instead, he’s using these trials to shape us and cause us to rely on His all-sufficient grace. He’s working in our lives for our good and his glory. So the next time you’re tempted to open your mouth in complaint, pray for the Lord to put a guard over your mouth and keep you from making the same mistake as the Israelites. Instead, ask him to fill your heart and mouth with gratitude, to bring glory to the Lord over all.